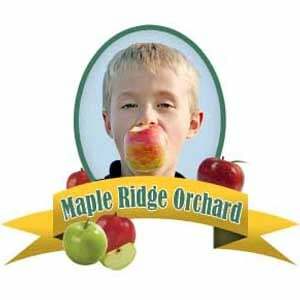 Welcome to Maple Ridge Orchard, where we blend a working farm with a family friendly atmosphere. 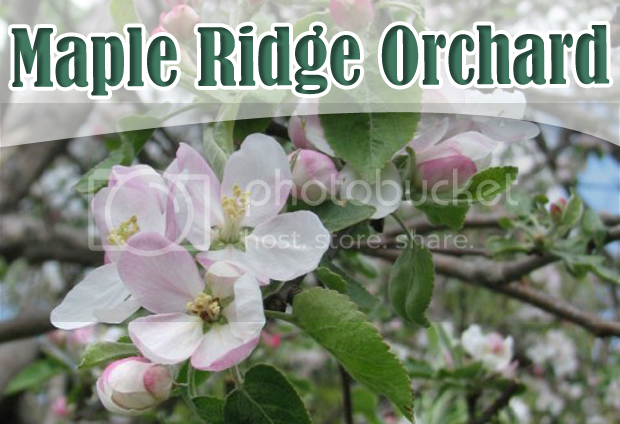 Visit our scenic ridge-top, mostly semi-dwarf orchard, with your family or friends. Here, you can play, learn and enjoy the season. Our farm has grown and changed since the planting of our first Honeycrisp trees a decade ago. Today, we offer an orchard experience with over 3500 fruit trees to delight the senses, raspberries, and pumpkins - and lots of children to smile with. Our family friendly farm is located in the heart of western Wisconsin’s orchard-rich region. Along the “Amish-Country” trail, Maple Ridge Orchard offers the best in homegrown apples. We have many varieties to choose from, including: Honeycrisp, Gingergold, Zestar, MacIntosh, Cortland, Jonagold, Gala, Fuji, Regent, Cameo, SnowSweet, and more to come. About 12 years ago, when we bit into our first Honeycrisp apple, we were hooked! Immediately we began planting Honeycrisp apple trees on our 22 acre family farm. In 2007, we began selling our apples to local grocery stores, including: Festival Foods, Hansen's IGA, and the Viroqua Food Co-op. We also sold off the farm and at the La Crosse County Farmers' Market. The response to our quality was phenomenal! Maple Ridge Orchard is committed to providing you, our customer, with the best locally produced apples & goodies available! Our season starts around the end of August and continues until the end of October. In August, we start with big, beautiful, and delicious raspberries, and offer the best locally-grown, early varieties of apples. See our Harvest Schedule for more information. We pack extra fancy, and combination grade apples in a variety of packages, including: trays; 5 and 10 pound poly bags; and loose fill peck size paper bags. We also pick many different sizes/shapes of pumpkins & gourds. Our cold storage facility allows us to continue to pack apples through mid-October. Our entire family participates in the operation at the various stages of picking, grading, and packing of our produce. You may also see one of our younger children behind the register...please remember to count your change☺. Maple Ridge Orchard carries great gift options! We carry fun Jessie Steele Aprons, A Cheerful Giver candles, selections from Kennedy’s Country Collection, Great American Pancakes and Maple Valley maple syrup and other delicious, homemade baked goods. For the foodie or sentimental person in your life, we have a gift for them! Check out our retail shop on your next visit! Enjoy a delicious apple cider donut this season at Maple Ridge Orchard and experience the great outdoor weather by relaxing with your family at our new pavilion! You’ll be able to gaze out at the orchard soon from our new 40-foot lookout tower currently under construction. Call us today at 608-654-5151 or visit us at 6675 Maple Avenue in Cashton, Wisconsin.